Frame It All - Simple Modular Sandboxes. The sandbox that grows with you. The Frame It All One Inch Series 10ft. x 10ft. x 11in. 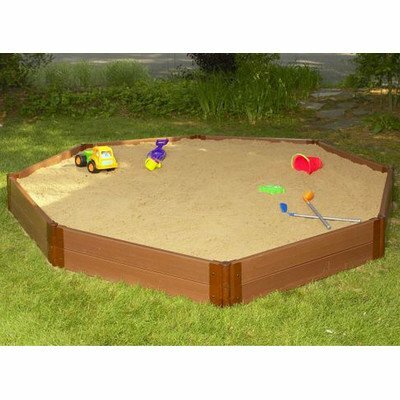 Composite Octagon Sandbox Kit provides the building blocks of childhood imagination and discovery. Simple to construct (no special tools required), and easy to maintain. When your child outgrows the sandbox, sustain your memories and by repurposing the sandbox as a raised garden bed, landscape edging, tree ring or integrate with other Series One Frame It All components.